Fill a tumbler glass with ice. 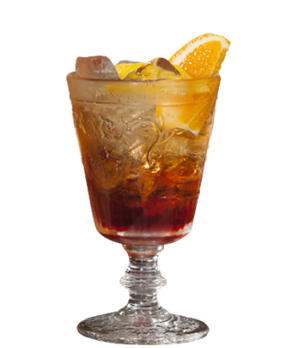 Pour the ingredients and complete the drink by adding a splash of soda water. Stir delicately with a spoon, garnishing with an orange slice.